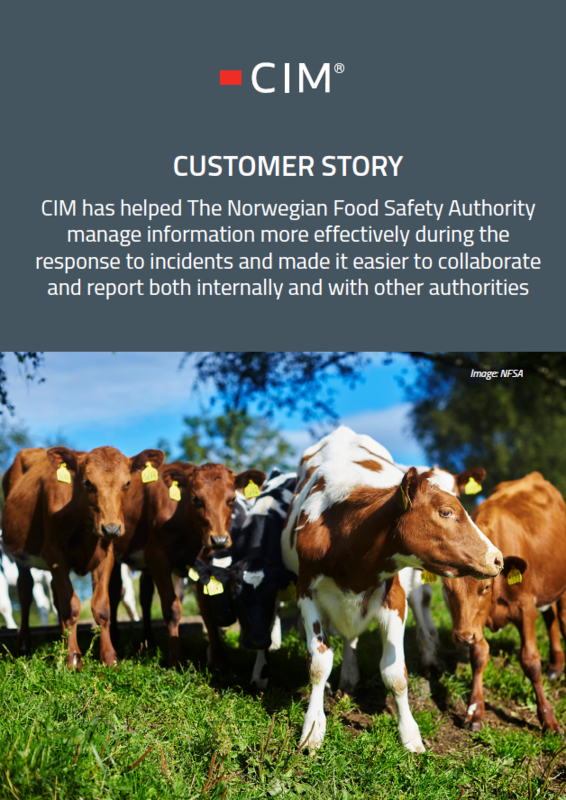 CIM has helped The Norwegian Food Safety Authority manage information more effectively during the response to incidents and made it easier to collaborate and report both internally and with other authorities. The Norwegian Food Safety Authority experienced a lack of situation overview with their old incident log tool. With little or no flexibility and a flat structure, it was also difficult to sort, manage and review the logged incidents. The need for a more flexible and dynamic tool for logging, collaboration and reporting during incidents, resulted in implementation of CIM as a crisis and incident management system. Since then, CIM has helped NFSA manage information more effectively during the response to incidents and made it easier to collaborate and report both internally and with other authorities.